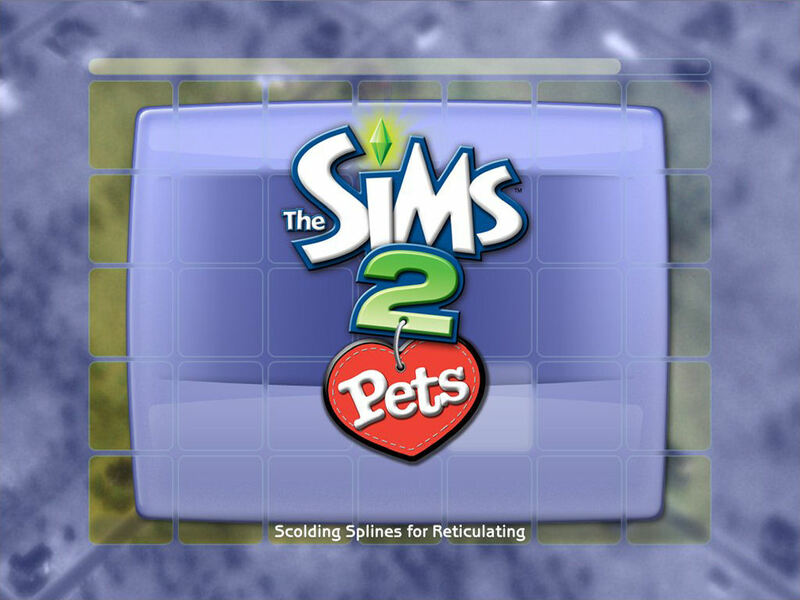 The Sims 2 Pets: Obedient Hound or Scavenging Stray? In a recent webchat, EA/Maxis admitted that they intended that with every even-numbered expansion pack (EP) for "The Sims 2" to bring to the game what in essence is a major upgrade and reworking of what has previously been in "The Sims (1)". Also with the odd numbered expansions, they intend to bring out something not seen before. This expansion is what a lot of players have been waiting for and the title leaves us in no doubt as to what this expansion is about. As the fourth expansion, therefore, it may be seen as a rehash and reworking of the core features of "Unleashed", which was released for "The Sims" in Autumn 2003. This review intends to look in detail at all elements of this expansion to see if it is just what it says on the tin and if nothing more is included. Although I was suitably impressed with "Unleashed" when I reviewed it, after a while I did find that I was not too enamoured with the puppy/kitten-sized pets but I do intend to review this with an open mind and see whether this major upgrade has succeeded. Will I still be wanting to take my pets for walkies in a few months or would I rather be sprayed by a skunk? Read on and you'll find out. 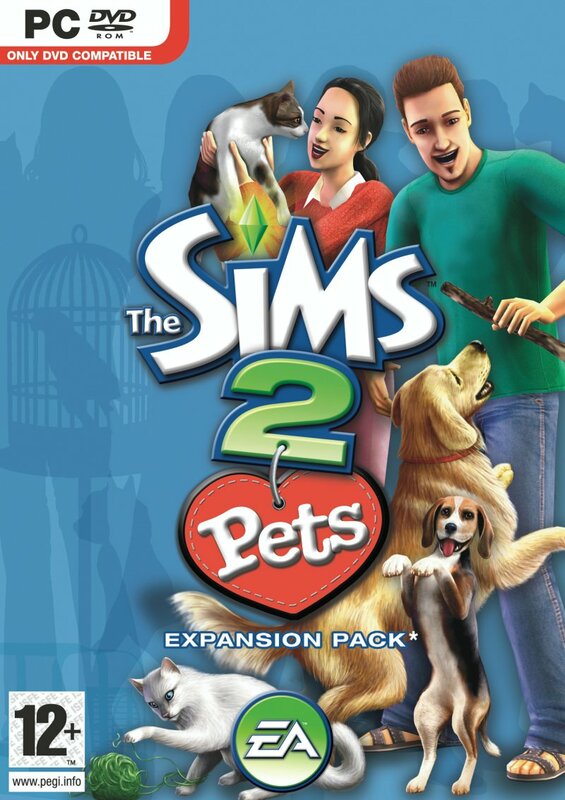 "The Sims 2: Pets" comes on CD or is also available in certain countries on DVD. Once installed and you start to load it up, you will find that it has a new logo, new music and appropriately themed comments along the bottom. My splines are often in need of being reticulated and I am pleased to see this new form of treatment available. 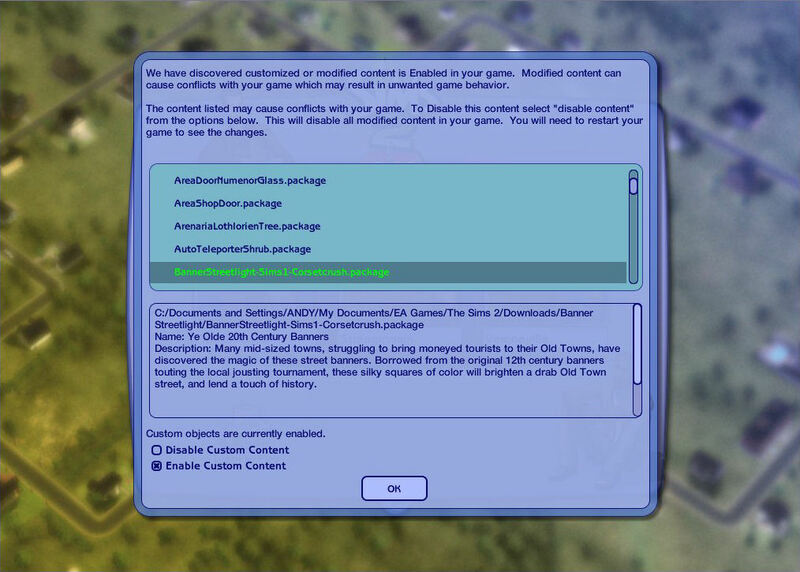 Again, before you reach the usual neighborhood selection screen, you are presented with the option to use custom content or not. Also, your only option is to use this content or not. You cannot be selective. However, for the first few times in this revised version of the game, I would recommend you try it with the custom content turned off. This is because certain hacks can clash with this new expansion and you may need to remove some of them until an upgraded version is available. I cannot tell you which ones as I am still working through my own lists. Thankfully, there is no new additional neighborhood this time. However, once you have selected a neighborhood to visit, it will take its time in loading as it has to populate the neighborhood with pets, whether they be available for adoption or if they are strays. I have noticed it seems to take longer with heavily populated neighborhoods, especially those that have sub-neighborhoods (University Town, Downtown etc.) attached. So either read the manual, make yourself a cup of coffee or go and do something else for a while. It can take some time. Also, you will have to go through this with each of your neighborhoods. 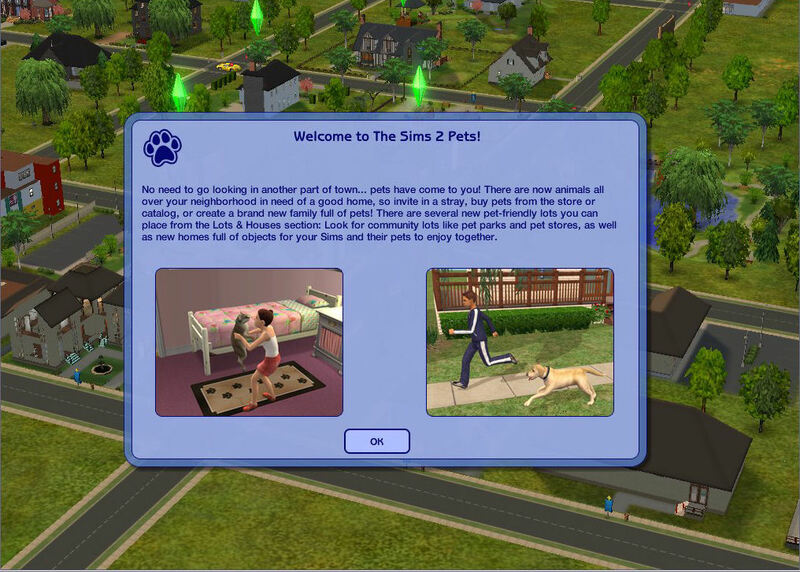 Once your neighborhood is loaded, there is a pop-up that comes up welcoming you to "The Sims: Pets". Written at 20:55 on Sunday 29 October 2006 by Andy.